When most people think about Canadian cities to visit on their travels, they think of the “big ones”: Vancouver and Toronto and Montreal. Maybe Quebec City gets thrown in, or the country's capital city of Ottawa. 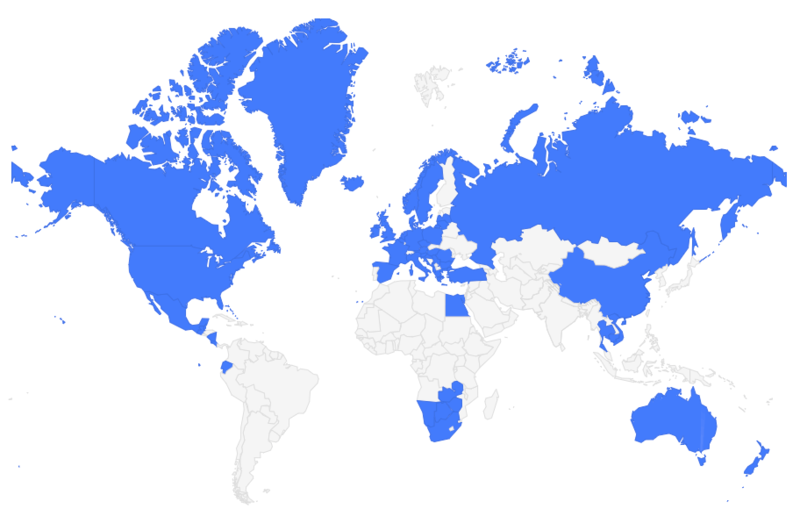 But do you know which cities often get overlooked and left out? The cities in central Canada. Cities like Winnipeg. 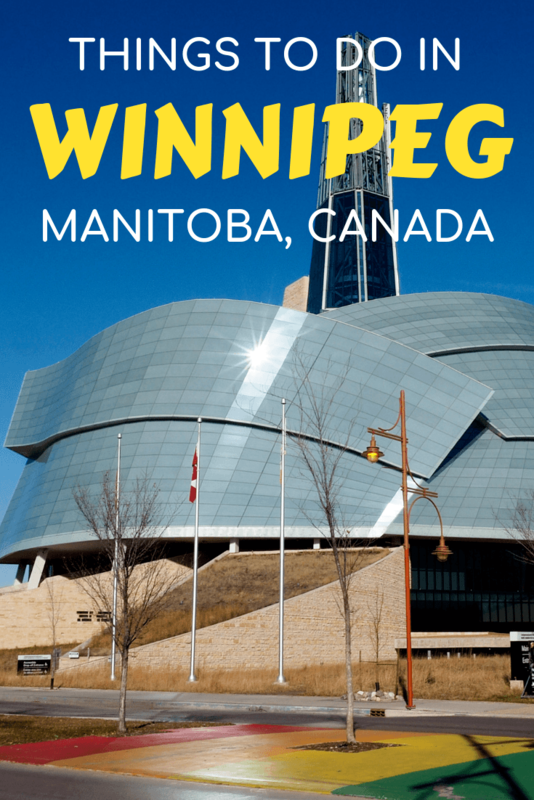 Winnipeg – the capital of the province of Manitoba – isn't exactly a small town. It's been an important trading post since long before any Europeans arrived in North America, and was incorporated as a city in 1873. Today, Winnipeg is a city of more than 700,000 people. I'd been to Winnipeg once before, but I visited in the dead of winter when temperatures were well below zero and the wind was howling. Needless to say, I didn't get to explore very much on that trip. So when invited me to come up early before my trip up to Churchill to see polar bears, I jumped at the chance. I wanted to get to know Winnipeg better – and to see if I could put my finger on what convinced 700,000 people to call one of the coldest cities in Canada home. Winnipeg is, indeed, one of the coldest cities in Canada – and arguably in the world. But it's ALSO one of the sunniest cities in Canada, with more than 300 sunny days per year. So… it's frigid, but at least the sun shines! Winnipeg's name comes from the Cree for “muddy waters.” And, indeed, Winnipeg's major rivers usually do look pretty brown due to their fast flows and high amounts of sediment. Winnipeg sits at the geographic center of Canada and North America. Pretty cool! Winnipeg has ties to Winnie-the-Pooh. Back during WWI, a Canadian lieutenant (Lt. Harry Colebourn) purchased a black bear cub in Ontario and named her Winnipeg after his hometown. The bear became the mascot for the Canadian Army Veterinary Corps, and traveled with them all the way to England. When he was sent to France, Coleburn left Winnipeg (by then nicknamed Winnie) at the London Zoo. Winnie was popular in London, and it was there that A. A. Milne and his son Christopher Robin saw her, and the little boy's stuffed bear was re-named after her. Winnipeg isn't really a small city, but in many ways it FEELS like a small city. It's not overwhelming, and it's possible to see all the highlights in just a couple of days. Winnipeg, therefore, makes for an excellent weekend getaway. My favorite place in Winnipeg definitely has to be . The spot where the Red and Assiniboine rivers meet has been significant in this part of Canada since before Canada even existed. The river junction has been a meeting place for more than 6,000 years, first for the indigenous people who lived and traded there, and later for European fur traders, Scottish settlers, railroad workers, and more. 30 years ago, The Forks was nothing more than an abandoned rail yard. But it's undergone a transformation and today is a meeting place once more. The Forks is now home to shops and restaurants in old rail buildings, museums, a Travel Manitoba visitor center, a hotel, and outdoor spaces that make it a major draw for both locals and visitors alike. And it's been a National Historic Site of Canada since 1974. From The Forks, it's easy to make your way across the striking Esplanade Riel pedestrian bridge and over into the Saint Boniface neighborhood. Here you'll find one of the largest francophone communities west of the Great Lakes. You'll also find the St. Boniface Cathedral, where Louis Riel is buried. Riel was a leader of the Métis people and fought for their rights (especially their land rights) as Canada was being formed. He was considered a rebel and was eventually tried and hanged for treason for leading rebellions against the Canadian government. But today Louis Riel is regarded as the father and founder of the province of Manitoba. Speaking of people fighting for their rights… If you only visit one museum in Winnipeg, let it be the Canadian Museum for Human Rights. This is the only museum in the world solely devoted to human rights awareness and education, and it's so incredibly well done. The first thing that will strike you about this museum is its architecture – and if you take a guided museum tour, you'll learn that every last detail of the building's design is intentional. The root-like look of the lower part of the building makes you feel like you're entering a dark underground space; dove-like wings envelop the upper part of the building; and the higher you go, the more light that pours in, representing hope. The CMHR covers all sorts of issues surrounding human rights, coming at most of them from a Canadian perspective. The first room in the museum has a fascinating timeline of ideas and laws that have shaped how we see and understand human rights, and other galleries include exhibits on indigenous perspectives, the Holocaust and other genocides, “turning points” in history, and an important one on breaking the silence. This is a heavy museum and requires at least a few hours to explore fully, but it's an absolute must-do in Winnipeg. I know I said if you only visit one museum in Winnipeg to make it the Canadian Museum for Human Rights. But if you visit TWO museums in the city, make the second one the Winnipeg Art Gallery, or WAG. This art gallery has been around for more than 100 years, and is the sixth-largest gallery in Canada. WAG is great for art lovers, but even mild art admirers like myself should visit because the Winnipeg Art Gallery is home to the largest public collection of contemporary Inuit art anywhere in the world. The WAG is currently constructing a dedicated Inuit Art Center in order to house and celebrate the 10,000+ pieces in its collection. When you're ready to take a break from museums, consider a visit to the . I don't usually include zoos in my blog posts because I don't enjoy seeing animals cooped up in tiny cages… But the Winnipeg zoo has an award-winning exhibit called Journey to Churchill that's worth visiting if you can't afford to make the expensive trip up to Manitoba's Arctic Tundra yourself. The Journey to Churchill exhibit is the most comprehensive exhibit of its kind in the world, and is home to species from muskoxen to Arctic fox to even polar bears. The animals live in large outdoor spaces with few visible barriers, making you feel like you might really be out on the tundra watching them. The “Gateway to the Arctic” exhibit is the star here, where you might be lucky enough to see polar bears swimming over top of you as you walk through a tunnel. Further along in the exhibit there are plenty of places to watch the lazy polar bears in their large enclosure, and even a replica of the town of Churchill. I was lucky enough to see wild polar bears in their natural habitat in the real Churchill this year, but seeing them at the Assiniboine Park Zoo is a great alternative for anyone who might only make it as far north as Winnipeg. Before you leave, make sure to step into the at the International Polar Bear Conservation Center, too. Here you can learn all about polar bear conservation and climate change through several interactive exhibits. You can also learn about how the zoo gets its polar bears (spoiler: they are NOT bred – they're all rescued bears that were found orphaned as cubs). Good news for those looking to work a little relaxation in around their sightseeing: Winnipeg has some unique spas to visit, too! My pick would be Thermëa, a Nordic-style spa complex that's open year-round. You can get a massage, or just enjoy the saunas and pools. OR, if you're up for even more pampering, I'm told the Ten Spa inside the historic is also excellent. Like most large cities, Winnipeg is made up of several different neighborhoods, each with a different vibe. Some worth visiting as a tourist include the Exchange District downtown (for heritage buildings, art, and cool restaurants); hip Osborne Village (for an artsy vibe, live music, and shopping); Corydon (once called Little Italy, now it has lots of international food); and Saint Boniface (the city's French quarter). Or, if you want to get a comprehensive historical overview of all Winnipeg's neighborhoods, consider taking a tour with the . I went on their “Heart of a Nation City Tour” and learned a TON about the city and its history. My pick for where to stay in Winnipeg is the , a modern hotel located at The Forks. The hotel is comfortable and stylish, with a spa and restaurant both on-site. I'm also a little bit obsessed with the design of their rooms! 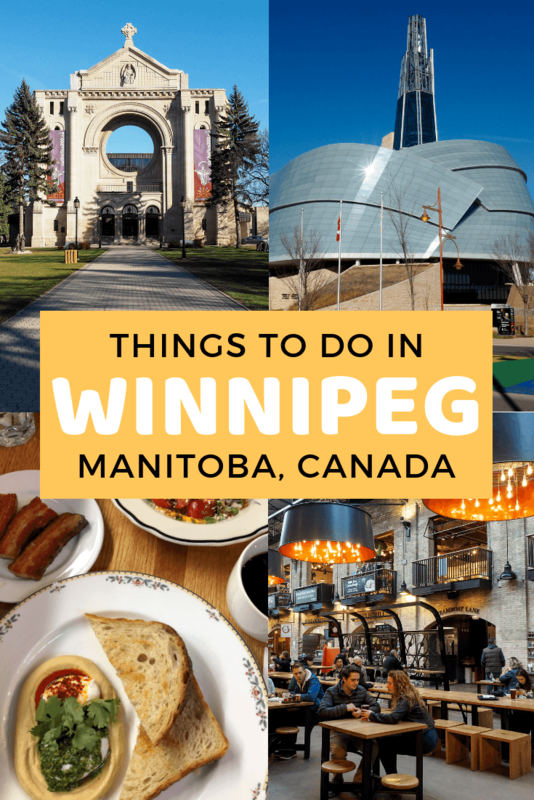 I also like staying here because you can walk to many parts of Winnipeg from The Forks, whether it's the Canadian Museum for Human Rights, the Saint Boniface neighborhood across the river, or the Exchange District downtown, which is only about a 20-minute walk away. King + Bannatyne – A sandwich shop in the Exchange District that serves up hand-crafted (and delicious) sandwiches. Passero – An Italian restaurant in The Forks Market. I recommend going with a friend so you can order several dishes, tapas-style. Segovia Tapas Bar & Restaurant – Speaking of tapas, this is the place to go for Spanish-style tapas in Winnipeg. Their Brussels sprouts and eggplant dish was my favorite. Other highly-rated restaurants in the city that I didn't get to try include the 529 Wellington Steakhouse and deer + almond. You'll find the warmest temperatures from May to September in Winnipeg. But with lots of sunshine and some seriously cool festivals and events happening during the winter months, too, Winnipeg truly is a year-round destination. Winter: RAW:almond – A unique culinary experience that takes place each winter on a frozen river. Chefs come from far and wide to create tasting menus for this pop-up restaurant. February: Festival du Voyageur – This annual 10-day festival celebrates Canada's (and Winnipeg's) fur-trading past and French heritage. It takes place in Saint Boniface, and is the largest winter festival in Western Canada. July: Winnipeg Folk Festival – A huge folk music festival that draws acts from all over the world. It's been running since 1974. July: Winnipeg Fringe Theatre Festival – This 12-day alternative theater festival is a popular one in Winnipeg. It began in 1988 as part of the Royal Manitoba Theatre, and is currently the second-largest event of its kind in North America. Last year, more than 170 companies from all over the world came to perform. August: Folklorama – This folk festival is the largest and longest-running multicultural festival in the world. For two weeks, dozens of venues around the city of Winnipeg highlight different cultures, presenting everything from music to ethnic food to cultural traditions. Looking for packing suggestions for Canada? Head over to to see all my favorite travel gear! Hopefully you've now been convinced that Winnipeg is a city worth visiting! Who's ready to plan a trip? Note: Thanks to Tourism Winnipeg and Travel Manitoba for hosting me during my time in Winnipeg. As always, opinions and recommendations are 100% my own. Thank you! I’d love to visit in the summer when it’s warmer and the trees are green! Thank you for doing a great job in featuring the highlights of my hometown. Winnipeg is a great city and has much to offer the adventurous visitor. I enjoyed Winnipeg a lot – I’m glad I was able to explore this time around, and have a feeling it won’t be my last visit! I was sold when you wrote that Winnipeg has 300 sunny days. I don’t mind a chilly day, as long as it’s sunny! I have only been to Winnipeg once, during my drive from Ontario to Vancouver. We went in the dead of winter and had the WORST time. I vowed never to go back. There were issues with our hotel, every person we met was rude, the drivers were some of the worst, etc. But as I grow older I am realizing that two days of bad experiences in a place doesn’t mean I shouldn’t go back. If anything, maybe I should go back to try to have a better time! Definitely! I have a hard time imagining rude Canadians – so maybe you just caught some people on a bad day! Winterpeg. Got stuck there once overnight. -20. Brrrr!!!! Never gone back. Well it IS one of the coldest cities in Canada in the winter! But visiting outside of winter is warmer, I promise! I’ve never been to Winnipeg, but it sounds pretty interesting! I’m in India at the moment, but we’re already planning our next long-haul family holiday that would either be China or Canada. Two very different destinations! If you end up in Canada, maybe you’ll have to make a stop in Winnipeg! I really like you blog post. Thanks for sharing!